It begins with a general awareness. You long to take action on transforming your life, yet you may not know how to do it or where to begin. You may find yourself starting to do some things differently. Maybe you are taking better care of yourself, or perhaps you are pursuing a creative hobby or interest. Your thoughts take flight. Now how do you get your actions to catch up with that? Two words. Shift perspectives. It requires giving something up in order to welcome something new in. It takes work and discomfort. When faced with change we are also faced with fear. Learning how to fear “less” permits you to embrace more. Reinvention, just like life is not a one-and-done concept. Yet at the corner of transformation and fear lives your legacy. Empowering. When open to transformation you are also open to cultivating being a legend in your own life. This is a choice and your power tool. In order for legacy to be actionable, change and renewal must be accessible and ongoing. For change to be effective and to stick as a habit…it needs to challenge you to be and feel uncomfortable. It is only within this uncomfortable zone that you have the bandwidth to rebuild, to redefine, and to explore what is next. The Reinvention Summit is designed to support you in your own rediscovery. My clients asked me to create a program that details the essence of my Signature GPS Coaching System. This is an acronym that stands for growth, purpose, and success steps. I am a reinvention coach because I am living my own legacy—coaching is literally my own reinvention. This very program is the evolution of my own ability to redefine myself. I have spent countless hours putting together the perfect series and the Reinvention Summit Workshop is exactly that! It will reconnect you to that place within where you are curious, courageous, and even fearless. 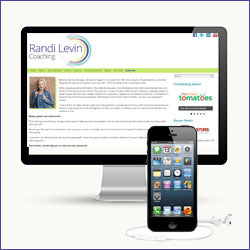 Randi Levin CPC, founder & CEO, Randi Levin Coaching—is a nationally recognized transitional life strategist, author, keynote, and reinvention expert. Her core belief is that we each have the choice and the power to carve out and curate our own legacy based on embracing and understanding our ongoing evolution. At the age of 22, we often make sweeping life-long decisions that may no longer align with a 40, 50, or 65-year-old version of who we are. Utilizing a “what’s next mindset,” Randi applies her Signature GPS Coaching System incorporating growth, purpose, and success to empower people to pivot and refresh their lives; becoming a legend in them. She is a contributor and featured expert for HuffPost, Thrive Global, DivorceForce, The Three Tomatoes, Women for One, and Better After 50. Sought after for keynotes and podcasts, Randi Levin Coaching is widely quoted and featured as an influencer in top media outlets. Her workshops have been featured in The Wall Street Journal and she is a contributing author in the anthology series Get RESULTS! * Please note that in The Reinvention Summit Workshop: The Audio Collection, you will receive 5 hours of previously recorded audio and the specific PDF worksheets that go with it. The recordings are from the live version of The Reinvention Summit. You will hear the interactions of not only Randi leading the workshops, but of the participants that were part of the original video program. We are each teachers and students in life and there is so much we can learn from the questions of others. The Facebook page and one-on-one sessions were part of the original $297 video program and are not part of the audio collection. * Disclaimer: The thoughts, opinions, recommendations, and insights contained in this workshop are resource material only and are not for personal or business gain, advertisement or promotion. Results vary depending on you and your own level of participation, and are not at any time implied or guaranteed. You are taking this workshop on your own accord and as such content is for educational purposes only. By attending this summit you are essentially signing a contract that says that you understand that WE (Randi Levin Coaching) do not make any guarantees as to results or outcomes. The opinions and experiences of Randi Levin Coaching are theirs and theirs alone. All information contained within the contents of this summit does not take the place of a licensed therapist or health care-provider. Participation in this program is at your sole risk. Use of this program does not constitute a coach-client relationship with Randi Levin Coaching and content is for general informational purposes only. Kenneth F. Peshkin, B.A., M.A., M.A.T., J.D. Convenient mp4 format allows easy playback on your computer, tablet or smartphone.